We want your trip to the Tampa Tango Festathon to be amazing so here is some important logistic info to consider when planning your trip. On The Road - Tampa is located centrally on the Gulf Coast, just off I-75, I-275, and at the west end of I-4. The Hip Room is located in the heart of downtown Tampa. Map your driving route here! 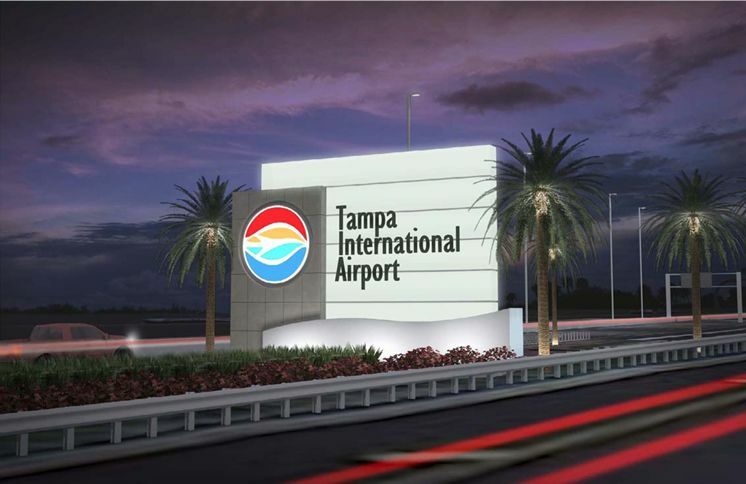 In The Air- Tampa International Airport (TPA) is the nearest airport. TIA serves Southwest, Jet Blue, Delta, American, Spirit, United, and many others. *Most travel sites don't have info for SW or JB, so you should check their sites directly. Uber- This is a great way to get around Tampa! A typical ride from the airport to the venue or hotel is around $15. TECO Streetcar - Hop aboard HART's Intown Trolley Line The historic streetcars are steadily gaining use as a means for downtown Tampa & Ybor public transportation. One way fare $2.50 or 3-day unlimited fare $11.75. Download the Flamingo Fares app and purchase your fare before boarding the Streetcar! The Flamingo Fares app is available via the Apple App Store and Google Play Store. Pirate Water Taxi- Pay once, ride all day for a convenient and fun way to explore the city ($20 for one day or $25 for a two day pass). Enjoy beautiful views as you cruise along the Tampa Riverwalk, Harbour Island and Channelside Districts. Hop on at any of our 15+ stops that can take you to attractions, museums, restaurants and parks along the route. One of the stops is in front of the venue at Ulele/Water Works Park! Coast Bike Share- Bike share is a transit system consisting of a network of stations where bikes are publicly available for short-term rental through several different fare options. You can connect with HART and the Street Car and visit hotspots in downtown, Ybor, and the SOHO district. Tampa Downtowner -100% free rides to Tampa visitors 7 days a week within the downtown area. Schedule is Mon-Fri 6am-11pm, and Sat-Sun 11am-11pm. Download the app to get a ride! *Please note this service is within Downtown Tampa’s business district, Channel District, River Arts District, the University of Tampa area, as well as the non-gated north end of Harbour Island. View service area map. AirBnB- There are lots of cool houses to rent in the Tampa area starting around $50/night. Make sure you search near the venue or have transportation if staying outside of the downtown area. 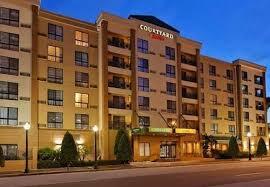 The Courtyard by Marriott Tampa Downtown- The Courtyard, 0.7 miles from the venue, has given our group a discounted rate of $119 per night, with check in time of 3pm and checkout time of 12pm. They offer free shuttle service w/in a two mile radius & the hotel is within walking distance to all downtown attractions. Plus there's a pool to soak up some Florida sunshine! Reserve your room here! Book by November 1st. There are many other hotels in the area as well, including The Courtyard by Marriott Tampa Downtown, Floridan Palace, Aloft, Le Meridien, Hilton Tampa Downtown, Sheraton Riverwalk, Hampton Inn and Suites, and more.